Pallets are easy to find (just check out your local garden supply store) and even easier to repurpose! With a few nails and a can of paint, these wooden crates can be turned into beautiful wall art, bookshelves and even bed frames. Safety Note: Before you fall in love with a pallet project, be aware that there can be some serious health and safety concerns associated with using pallets in the home. If you’re going to join the pallet trend, learn how to mitigate potential issues. Vertical garden. If you’re short on space, grow flowers on a repurposed pallet. All you need is an old pallet, screws, clamps and pots. Learn how to make a pallet garden in seven easy steps. Display photos. Tack up your pallets and then use them as shelves. You can display framed art, books and any other knick-knack you deem living room worthy. Furniture. 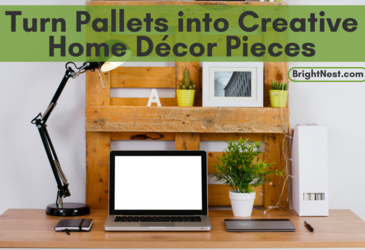 From a shabby chic headboard to a modern coffee table, pallets are popping up all over the interior design-o-sphere. If you aren’t really into the idea of a pallet as a headboard, check out this easy headboard upholstery option. Wall art. If you can’t find (or don’t want to shell out the dough for) a large art piece, repurpose an old pallet! You can choose your colors, words and patterns. Just grab some paint, a few brushes and let your creative juices flow. Animal bed. Instead of your pet snoozing on a large, unsightly cushion, incorporate their bed into your décor with pallets. Tip: Sand down the sharp edges! A dirty or broken fridge and freezer can transmit foul smells directly into your food (yum), which can accelerate rotting and mold. 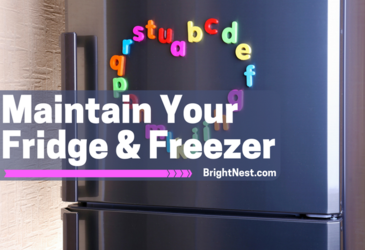 Check your fridge and freezer twice a year to ensure your food remains fresh and safe to eat, extend the life of this appliance and even lower your utility bills. It's a hat trick! 1. Clean the condenser coils. The condenser coils are typically located under, above or behind the refrigerator. You want them to be completely free of dust and grime so that the refrigerator and freezer don’t overheat and stop cooling (read: spoiled groceries and a huge pain in the you-know-what). Check out this step-by-step for full instructions. 2. Clean the drip pan. If the refrigerator has a drip pan to catch condensation, make sure that the drain hole is clean and the pan itself doesn’t smell. If it does, wipe it down with warm water and mild dish soap. 3. Check the water filter. If the refrigerator/freezer dispenses water or makes ice cubes, check to see if the water filter needs to be replaced. If it's time, read:Change the Water Filter in Your Refrigerator. 4. Clean the gasket. Check the gasket that seals the refrigerator door to the unit and make sure that it’s not dirty or cracked. If you aren’t sure that it's doing its job, close a piece of paper in the door and try to pull it out. If it comes out easily, it might be time for a new gasket. If it's dirty, clean it with mild dish soap and warm water. 5. Defrost the freezer. If you don't have a frost-free freezer, it's manual defrost time! For a step-by-step guide through this process, read: Defrost Your Freezer. 6. Check your coldness setting. Make sure it's set to medium to avoid a defrost problem in the future. According to the FBI, over two million burglaries occur each year in the United States, and 70 percent of them are in residential areas. Don’t worry, you don’t have to turn your house into Fort Knox to secure your home – many of these solutions are free and take less than ten minutes! Maintain your doors and locks. Inspect the condition of your exterior doors. Make sure that they fully close, are sturdy enough to provide resistance to kick-ins and that there are no gaps along the frame. Also, check each door’s strike plate, hinges and handle to make sure nothing is loose. If you find any damaged door hardware, repair or replace it immediately. Maintain your windows. Inspect and repair all exterior frames, glass panes and latches. 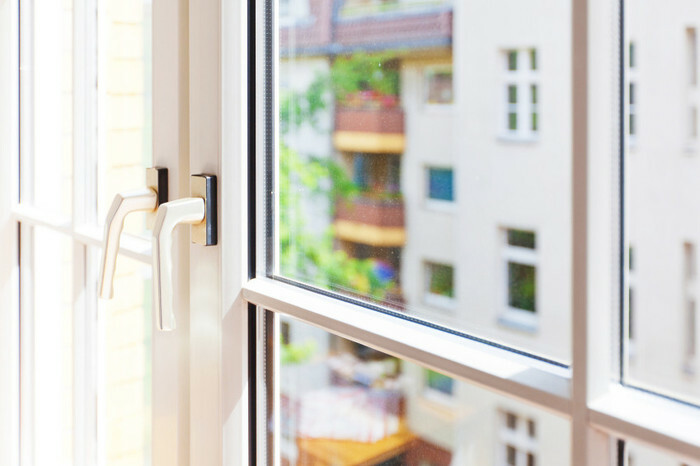 Make sure all windows are securely attached to the window frames and always keep them locked when they’re closed. This includes all sliding patio doors, too. Tip: Take a strong dowel or steel bar and slide it into the back groove of your sliding doors. This way even if the lock is picked, the door can’t be slid open. Install safety lighting. 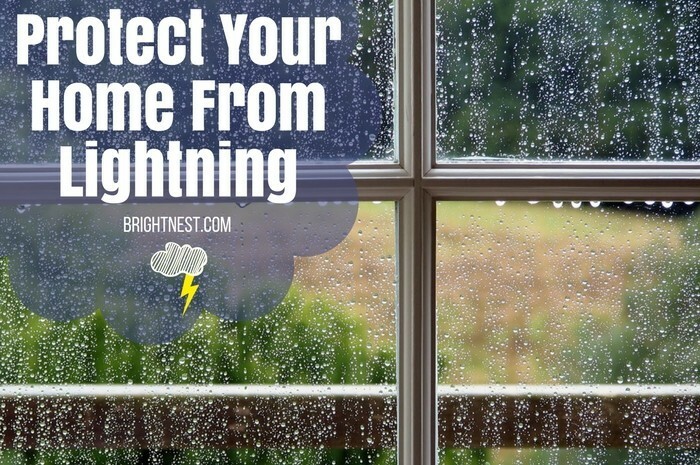 Purchase indoor lighting timers if you know you’re going to be away from your home for a lengthy period of time. These allow you to set lights on a timer to make it look like you’re home. It’s also important to have adequate outdoor lighting. Consider installing outdoor motion detector lights near exterior doors and windows for some added security. If you have a large yard, you may want to install floodlights, too. Be aware of what you showcase in your home. Don’t keep expensive items in plain sight or near windows – it makes your house a target! To see what a burglar might see, open up all of your curtains and take a stroll out to your front lawn. If you can easily see your jewelry, big screen TV or your new laptop, consider rearranging these items or buy thick drapes and blinds so your valuable items don’t tempt robbers. Be mindful of your spare keys. Try to limit the number of keys you lend out. Give the babysitter or dog walker your garage code instead of an actual key. Although we don’t recommend keeping a spare key around the house, if you’re going to do it, be original. Avoid hiding a spare key under fake rocks, doormats or along the doorframe – it’s been done. Many times. 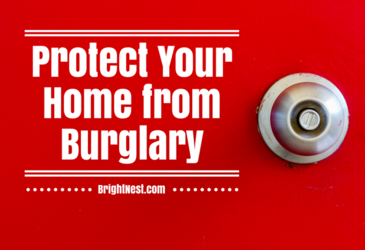 Choose a spot that a burglar won’t think to check! Don’t leave signs of an empty house. Have a neighbor get your mail while you’re away, or put it on hold at the post office. Piled up newspapers or packages on your front door will be a red flag that you’re not at home, making you a prime target for a break-in. Consider installing an alarm system. If you live in an area with high crime, are away from home often, work odd hours, or just want some extra protection, an alarm system is a great security addition. Homeowners generally pay between $100 and $1,200 for a burglar alarm (the price depends on the size of the home and type of system), plus a monthly monitoring fee of around $40. If that doesn’t fit your budget, just seeing a home security sign prominently displayed out front of your home can deters burglars, even if you don’t actually have a security system installed. At least 36 states suffer local, regional or statewide water shortages annually. By adopting a few simple habits, you can dramatically decrease your household water usage. This will save you money on your water bill each month and help the environment. Win-win! 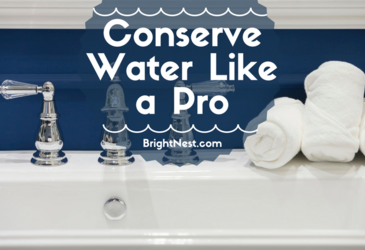 Follow these steps to become more efficient with water. 1. In the kitchen: When washing fruits and vegetables, fill a pan with water. Dip your produce in the water instead of running it under the tap. 2. Only run your dishwasher when it’s completely full. 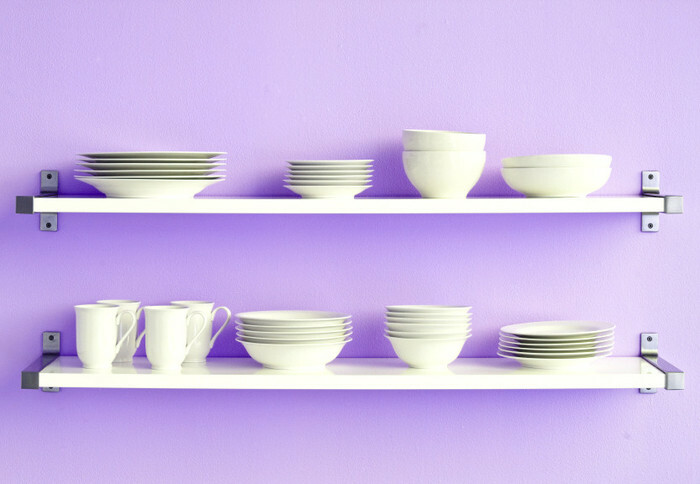 For more dishwashing tricks and rules, read: The Three Laws of Dishwasher Loading. 3. Avoid defrosting your dinner under running water. Instead, fill your sink halfway and let the items soak until they're properly defrosted. 4. In the laundry room: Wait until you have a full hamper before doing a load of laundry. Tip: If that shirt you wore isn’t really dirty, don’t be afraid to wear it twice! 5. Check the water fixtures that connect to your washing machine. If you notice any moisture around the fixtures, you may have a leak that needs to be repaired. For more information on washer maintenance, read: Inspect and Maintain your Top-Loading Washing Machine or Inspect and Maintain your Front-Loading Washing Machine. 6. Consider purchasing an energy-efficient washing machine. These use almost half as much water as older, less-efficient models and wash your clothes just as well. To learn more, read: Shop Energy Star. 7. In the bathroom: Shut off the water while brushing your teeth or washing your face. You’ll save 4.5 gallons each time. 8. Fill a 20-ounce bottle with water. Add rocks so it's weighed down, and drop it in the tank. The bottle allows the tank to be refilled with less water, making your toilet more efficient. 9. Test your toilet for leaks by adding a few drops of food coloring into the tank. If the dye appears in the bowl without flushing, you have a leak. To learn how to fix this, read: Maintain your Toilets and Fix a Running Toilet. 10. Show some hustle in the shower and try to shorten each session by a minute or two. You’ll save up to 150 gallons per month. Tip: Make it a competitive game. Who can take the shortest shower? See if this Tupperware situation sounds familiar: Lots of round lids. Too many square containers. No properly stored food. Total chaos. Using Tupperware (and its other-brand brothers) is an easy way to keep leftovers organized, but only if key plastic pieces quit disappearing! Instead of blaming the kitchen elves, create a Tupperware organization system. That way, you’ll always have the right lid-container combination within arm’s reach. Nothing is worse than having ten circular lids when all you need is a square one! You may have to spend a little money up front to consolidate your Tupperware, but it’s easier to keep track of everything if they’re the same shape. Tip: While you’re at it, invest in Tupperware that’s mostly the same size. Mixing and matching will be way easier! If you do decide to keep different sized containers around, nest the smaller ones inside the large ones! You’ll open up a ton of cabinet space and keep better track of your lids. If your lids keep disappearing, make a habit of putting them all in one large plastic bin or basket. Then stack your Tupperware bottoms next to the bin. Think of the bin as confined chaos. Next time you grab a Tupperware bottom, search through the bin for a lid that fits. 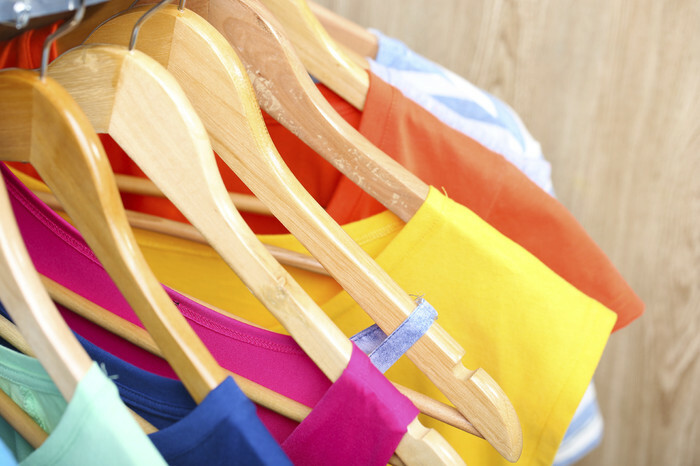 We’re not suggesting that you only buy a certain brand – just keep them separate. By designating a different bin for each brand you own, it will be easier to find matches on the fly. So you’ll have a Gladware bin, a Tupperware bin, a Target-brand bin and so on. Do you have one oversized pot that gets used like once a year? 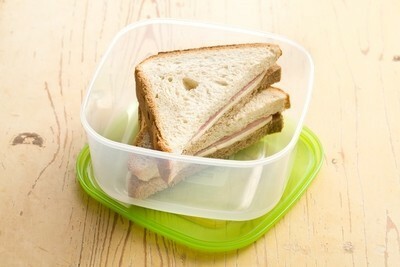 Dust it off and use it to store your Tupperware! You’ll open up valuable cabinet space and keep all of your containers in one spot. 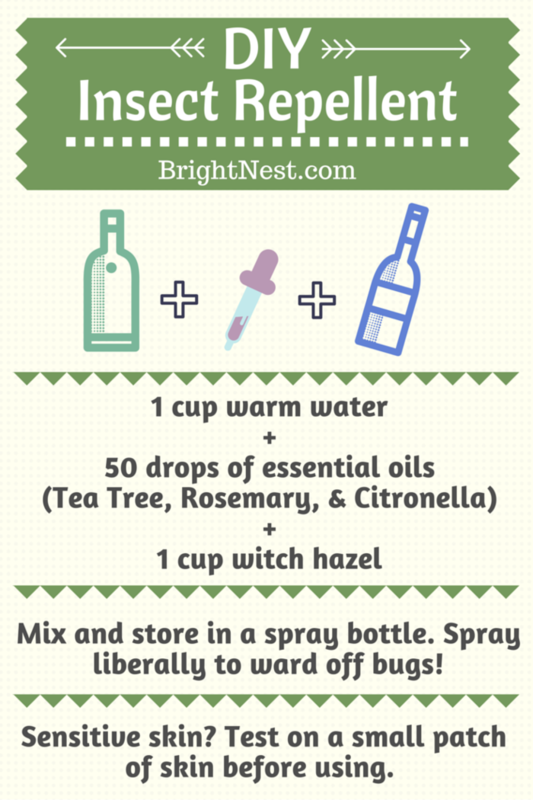 This low-cost, all natural DIY insect repellent is easy to make and will let you linger outdoors for longer without getting swarmed. That way you can make the most of summer evenings without worrying about bug bites. Mix your ingredients in the spray bottle. Use the eyedropper to add up to 50 drops of your essential oils. You can use more drops if you like your scent to be a little stronger. Spray liberally before heading outdoors and use as needed. If you have some leftover, you can store it in the fridge.